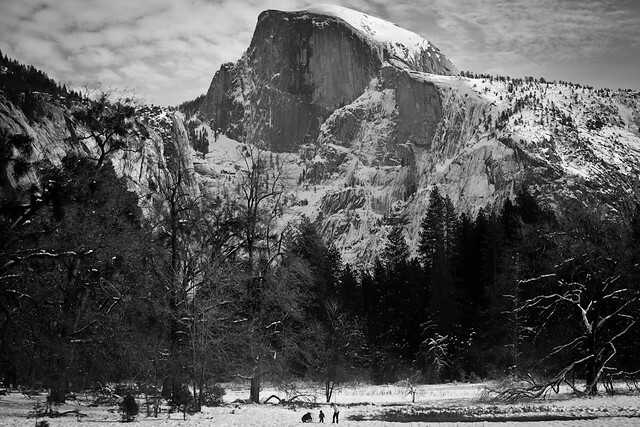 I’ve posted an all black and white version of this image before – “The Real Yosemite” – taken in Cook’s Meadow looking at Half Dome in Yosemite National Park. 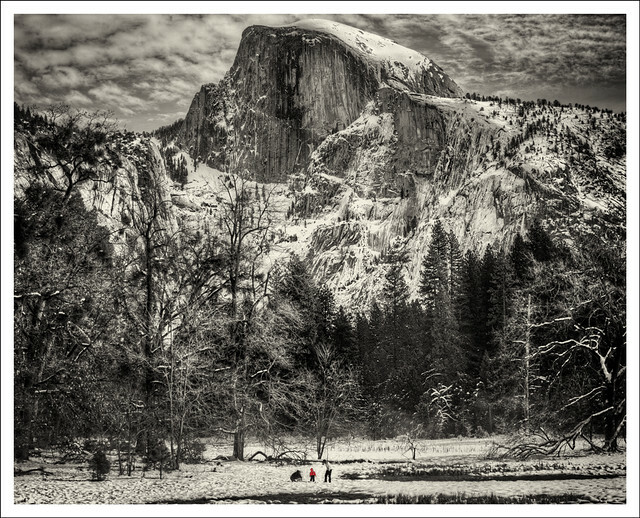 It’s one of my favorites – with big Half Dome in the distance and the young family playing in the snow in the meadow below. Lately, I’ve been re-learning some tools and techniques for post-processing images and decided to take another try at a slightly different approach to this particular image – you see the result above. This has a very minimalist use of selective color – on the child’s jacket – along with some subtle toning that, for me, adds a bit more depth to the image versus my earlier black and white treatment – included below.